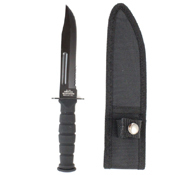 This compact fixed blade knife comes from Master Cutlery’s Survivor series. 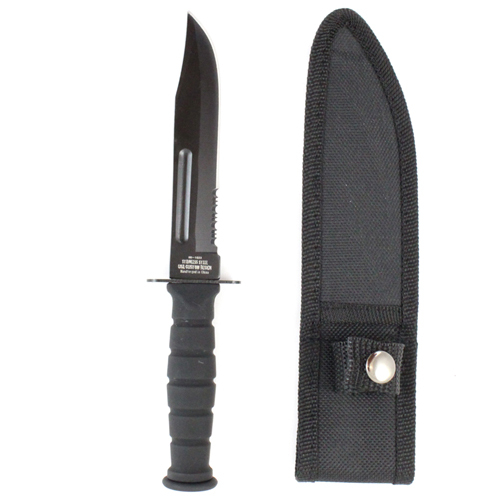 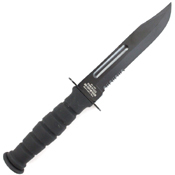 It features the design and style of a tactical survival knife with the convenient size of a pocket knife. 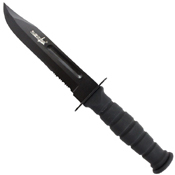 The blade is stainless steel with an aggressive clip point shape, tactical black coating, and a combo-serrated edge. The handle has a rubber mold grip that provides a rigid grip, even when wet, and a double quillon guard for hand protection. 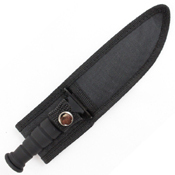 A heavy-duty nylon belt sheath is included for convenient everyday carry.